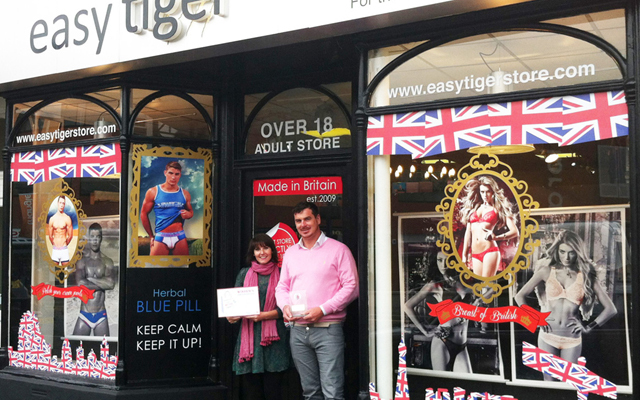 Bournemouth adult shop Easy Tiger celebrated last month’s Jubilee by winning an award for its window display. 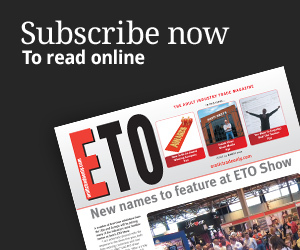 The store was presented with the Best Independent Jubilee Window Display award by the Bournemouth Chamber of Trade and Commerce at the Hotel Miramar on Tuesday June 12th. Established in 2009, the store worked with The Beep Studio – a Bournemouth-based creative services company – to develop the concept and create the winning window. The vinyl design illustrates a man and a woman in gilded frames, with the taglines ‘Polish your crown jewels’ and ‘Breast of British’.